So, we've had S.T.A.L.K.E.R., we've had S.T.A.L.K.E.R. Clear Sky, and now we've got S.T.A.L.K.E.R. Call of Pripyat. Won't running around the same palce for a third time seem a little, well, boring? 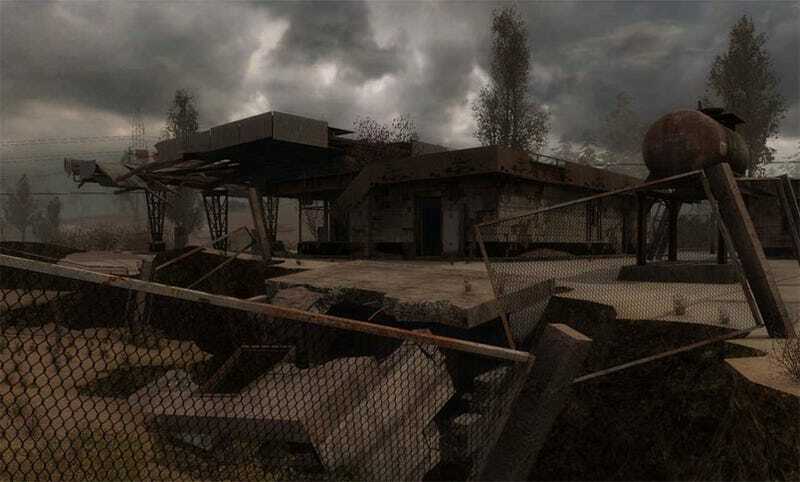 We will present a complete set of new locations in Call of Pripyat. This includes the Pripyat river basin and its rusty fleet standing still for over 20 years now, the Kopachi village completely buried after the accident, Jupiter factory located on the outskirts of Pripyat, the railway station Yanov, and, to crown it all – an entire district of Pripyat, modeled in its real scope. Many players have repeatedly asked us to implement Pripyat in the game, so we decided to satisfy their wish. Hopefully the mission design and AI have been expanded as extensively as the environment has.